I saw these on the shelf in August and thought to myself that these were definitely going to be a winner. We're all wrong sometimes. 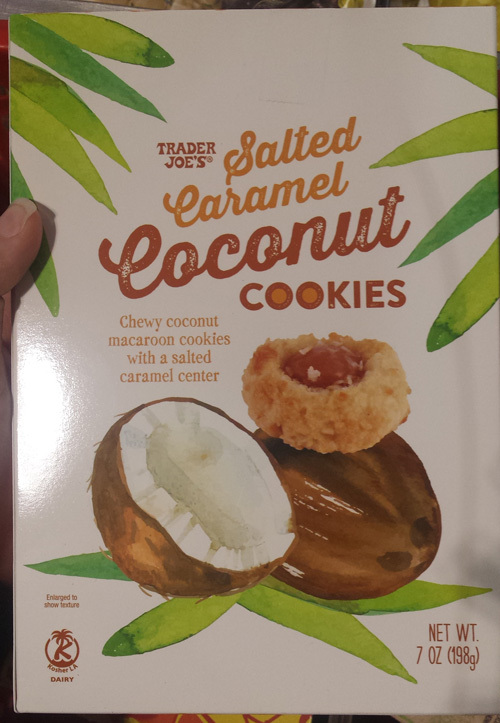 I expected these cookies to be packed with tasty coconut and caramel, but was incredible disappointed. There was definitely a coconut flavor, but you could barely taste any caramel or saltiness. It basically just tasted like an boring coconut cookie without much else. I tried to get into these several times after eating that first cookie, but I finally gave up after about 1/3 of the box and just returned them.